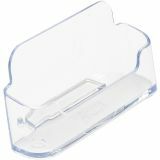 Note: A minimum quantity of 192 must be ordered, and in units of 24 thereafter. 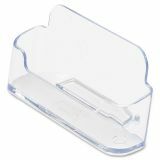 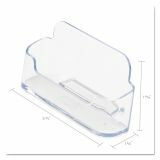 deflecto Horizontal Business Card Holder, 50 Card Cap, 3 7/8 x 1 13/16 x 1 3/8, Clear - Business card holder is ideal for desktops and counters where customers and clients need easy access. 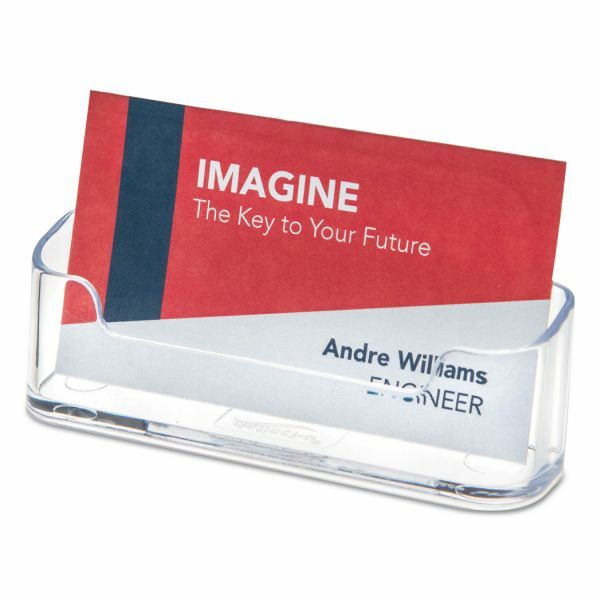 Card holder is perfect for doctors’ offices, travel agencies and retail outlets. 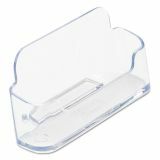 Low-profile card holder is made of durable, clear plastic for full visibility. 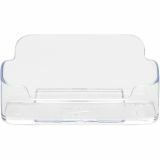 Single compartment holds approximately 50 cards.